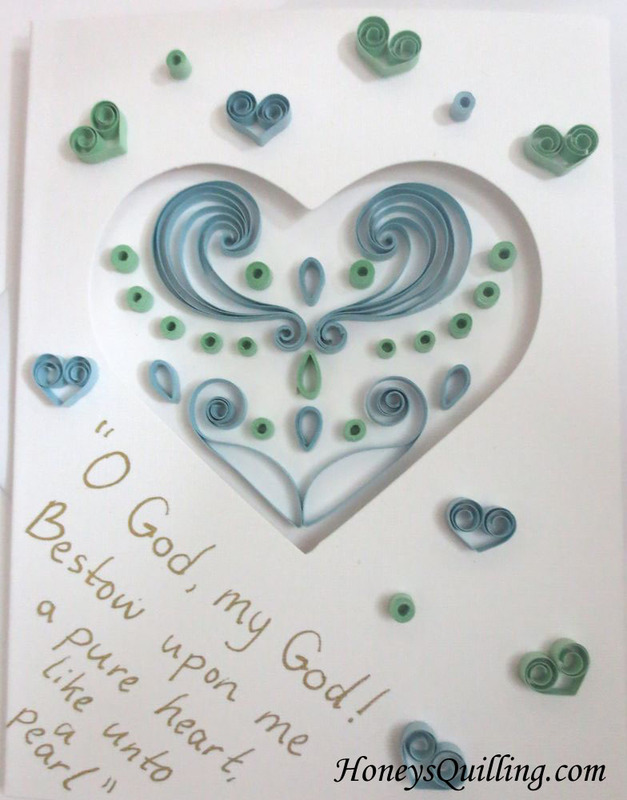 I don’t actually make quilled cards very often, but when there is a special occasion for a friend I try to make the time to make a special card. Recently some close friends had a beautiful baby boy, so this card was for them. 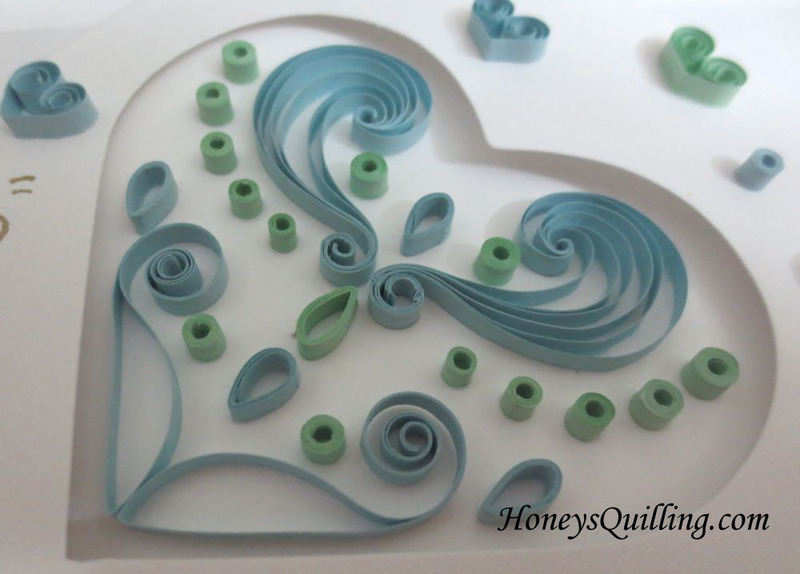 I started by choosing a card with a heart cut out (find them on Amazon or at Custom Quilling). Nothing expands your heart more than having a baby, so it was an easy choice. But I still wasn’t sure what the card would look like. I started by experimenting with some scrolls like I used in this frame design. I also did some other little scrolls. I didn’t have hours to work on the card, so I decided to fill in the design with some little dots and open teardrops, which are shapes that I often like to use. After finishing the heart design I knew I wanted to fill the rest of the front somehow, but I just wasn’t sure. Since the happy new parents are members of the Baha’i Faith I decided to look through some Baha’i prayers for children for inspiration. I found this part of a prayer that mentions both heart and pearl. 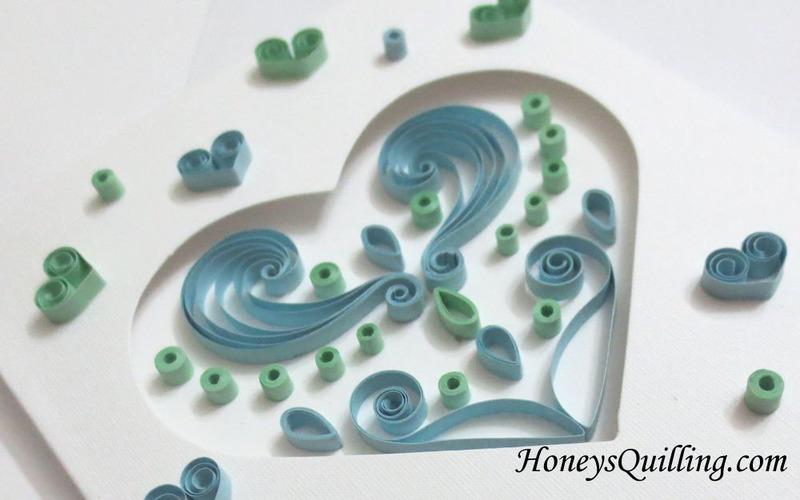 Well, my design had a heart, and the little dots could represent pearls, so I had a winner! I used my favorite gold pen to write the prayer on the front. After writing the prayer I thought it only fitting to add some more hearts and “pearls” to fill up the rest of the front of the card. And here is the whole card!